Injuries AD inflicted on his 4 year old son. The outrage over ray rice KO'in his wife hasn't even died down yet, but now another nfl star running back has made national headlines for abusing a family member. In this case, Adrian Peterson (one of the best rbs on nfl history) was arrested for beating his 4 year old, punching him in the nuts, and leaving horrible HORRIBLE marks on him. AD will miss this Sundays game vs the pats. I expect a heavy punishment from Goodell. Like how ray rice recieved a laughable 2 game suspension, I think AD will recieve a HUGE suspension! I saw a tiny thumb nail of one in a google search, and it filled me with rage! Edited by TKainZero, September 13, 2014 - 08:55 PM. Last year, one of Peterson’s children, a 2-year-old boy, died from injuries allegedly sustained at the hands of his mother’s boyfriend at the time. The pics are pretty bad. Kid will probably have scars. That's child abuse. NFL won't punish him too much though. Would be shocked if it's more than 6 games which would be bull[expletive]. Edited by bigfetz, September 13, 2014 - 07:35 PM. Peterson grabbed a switch – a thin flexible tree branch – removed the leaves, stuffing them into the boy’s mouth. Then the monster pulled his pants down and whipped him repeatedly. The child also suffered cuts and bruises to his ankles and legs, as well as defensive wounds to his hands. Peterson “likes belts and switches” and “has a whooping room,” the child later told his mom. Several stomach-churning lacerations can be seen on the child’s hand and thigh in photos released by the Houston Police Department. Edited by TKainZero, September 13, 2014 - 08:19 PM. Life time ban plz🙏 don't want to see AP gash us no mo. Yea, a lot of this will come down to how each individual was raised. Me personally I would get hit with belt, sandals, and even a stick a few times. I am sure there might've been barely noticeable bruises, but never punctured skin and that is where I personally believe it is well beyond excessive. I don't consider it a big deal to disciple a child physically, but to leave a 4 year old kid like that is very excessive from what I mentioned, and well beyond that of even a spanking. As such there people who believe to never at all physically reprimand a child, it just comes down to beliefs and culture to a certain point. Remember those pics were a full WEEK after it happen! This is a grown man, professional athlete, a human of godlike physical body, beating a child, a 4 year old, to draw blood. One hard hit. Okay. A few okay... But drawing blood? Draw blood once on accident, thats something... But it looks like AD beat the kid. The first couple hits were punishment. The next dozen were child abuse. My parents would be on Death Row in 2014..
Idk what a 4 year old could do to get whooped like that. There's a difference between discipline and abuse. And just because parents did it ten or 20 or however many years ago doesn't make it right. There was a lot of dumb stuff that parents did years ago that we realize is abuse nowadays with better doctors and psychiatrists. I don't ever agree with hitting anybody(especially a child) with an object. Especially when it produces cuts. It's like parents don't realize what this kind of stuff can do to a toddlers mental development, as it relates to mood disorders and anxiety attacks and stuff as an adult. It's no coincidence that a great many people that have mental illnesses were beaten severely as children. It honestly disappoints me so much that in 2014 so many people will still ignore facts that science has given us as it relates to psychology. There are so many better ways to discipline children that doesn't involve any hitting at all. Every study has found that hitting children is foolhardy at best, and a disaster at worst as it relates to their mental health in the future. It's not legal to hit your coworkers or your fellow students or people on the street. Why is it legal to hit children who have no way to defend themselves against people who are 3 times their size? Children aren't property. They're not there to be slapped and belittled and abused because a parent can't control their temper. Edited by MidnightMarauder, September 14, 2014 - 04:07 PM. Completely ridiculous honestly. Sure he took it a little far but he said he was parenting the way he got parented, a little discipline is good. Quit trying to ruin the dude's career for being a parent. Dude its a 4 year old. What could a 4 year old possibly do to be whipped with a stick until he bleeds. I dont give a [expletive] what parents did years back, its not ok to whip a 4 year old. I said he took it a little far, no doubt about that. But he isn't the only one and he was doing what HE thought was best as a parent. 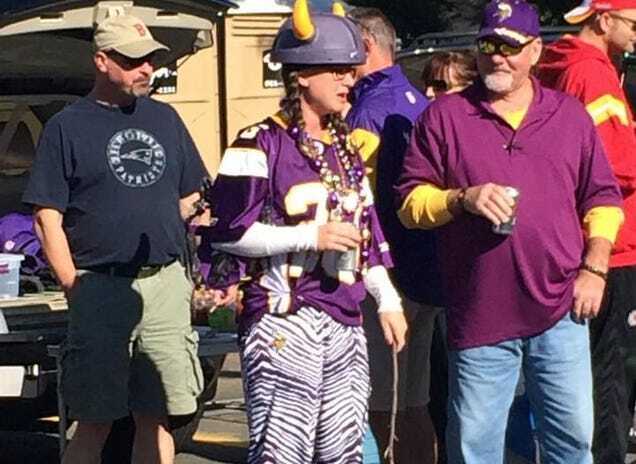 Maybe this whole issue is to force the Vikings to trade/cut him. So he can go to Dallas ya know?